Notes: Bel Royal opened two years after the St. Helier - St Aubin line opened and had a single platform on the up side of the line. In 1910 there was a proposal to extend Victoria Avenue westwards to join the St. Aubin Road to the north west of Bel Royal station. This would involve resite the stations at Millbrook & Bel Royal. A new Millbrook station opened on 15th January 1912 but following the outbreak of WW1 work on the road was suspended. a permanent site would no doubt become necessary. It referred to a stipulation made in 1912 that the existing station at Bel Royal should be moved at public cost, that a new platform 100 feet longer than the existing one should be provided, that the new track formation be properly ballasted to receive sleepers, and that the new land should be conveyed to the company in exchange for the deeds of the old land, the company only paying the cost of the new sleepers and rails. These conditions were agreed and the new Bel Royal station was opened in 1920. After closure the station building was dismantled and rebuilt on platform 2 at St. Aubin. In 2011 two undated tickets were found one issued at Goose Green to St Hellier (above) and the other from First Tower to Goose Green. 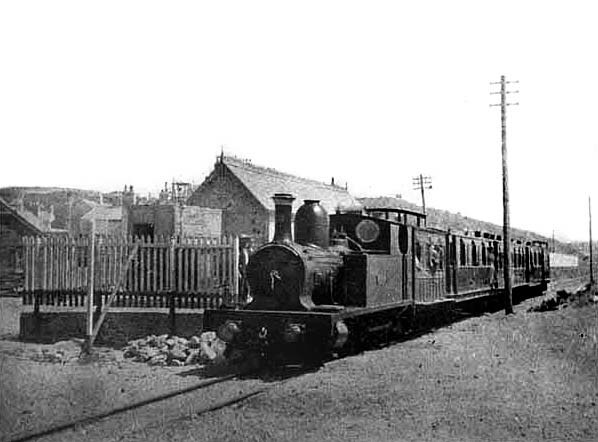 There has never been a Goose Green station on the Jersey Railway and despite extensive research no documentary evidence has been found relating to Goose Green. As Goose Green is close to Bel Royal it has therefore been assumed that before Bel Royal station opened it was to be called Goose Green and tickets were printed in anticipation. The station however opened as Bel Royal and the tickets were never used. Locomotive No. 3 'Corbière' hauls a westbound train out of the the first Bel Royal station. 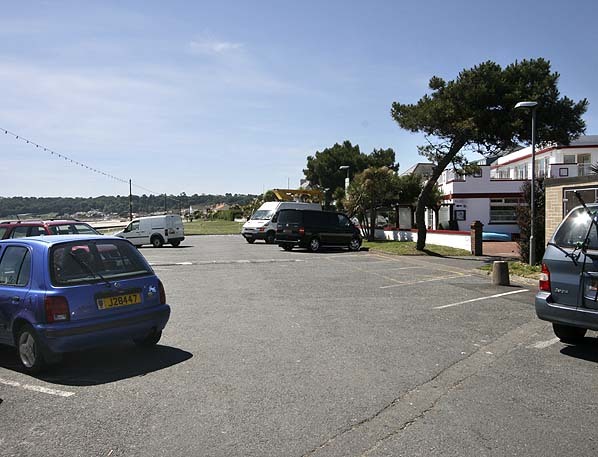 After closure the station building was dismantled and rebuilt on platform 2 at St. Aubin.